Every business normally goes through a period when the workflow is slower than normal. Sales may not be generating at a consistent speed or maybe you’re running out of creative ideas for projects. 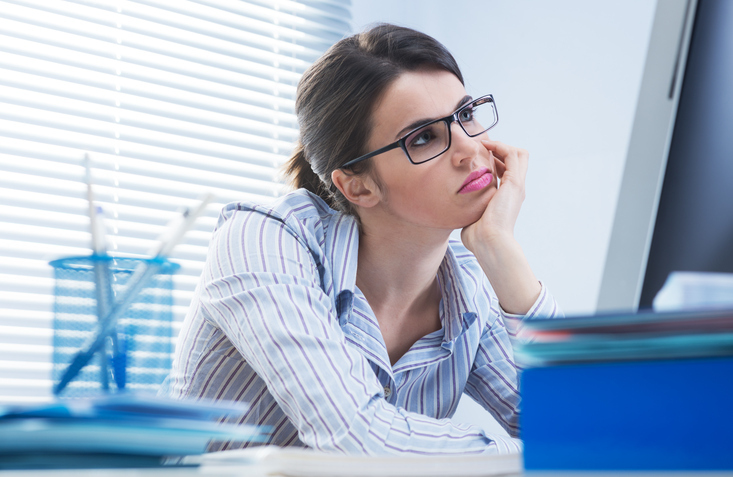 The work slump comes in many forms and just so happens to be most common during the summer. Regardless of what’s responsible for it, here are 7 creative ways to beat it! Customers not biting? A great way to reel them in during those slow, summer months is to entice them with seasonal deals. Put up promo codes on your website, initiate a summer giveaway on social media or offer coupons. Just make sure that you’re promoting any summer social media marketing sale you do! Use clear CTAs, advertise on your site and push sales on social media and e-blasts. Do you have customers or clients that have been by your side from the beginning? Give your biggest fans something to rave about! Branded promotional items like t-shirts, jackets, office supplies and bags are all great products to award your loyal fan base. This not only builds trust in the relationship, but also gives your business more exposure. Even though business might be slow, that’s no excuse to sit back and watch your social media efforts go to waste. When you think of summer, what comes to mind? Vacations! Throw a photo contest for the best vacation photo or target people that stay local during the summer with a staycation campaign. In the social media industry, everyone wants their content and campaigns to go viral. If you need a little help sharing engaging content this summer, look at what’s happening in the world around you. Check trending topics every day and think about how you can soak up that information like a sponge and share it with your audience to increase engagement on social media. Who says that once you write a blog post or design a graphic it can’t be changed? It’s actually smart and beneficial to repurpose content because it allows you to tell a new story while saving time and resources. Update an old blog post with new information or design an infographic based on an old blog post. When it comes to using and repurposing content, the sky’s the limit! If your business is going through a slow season, then you have some free time, right? Why not use that time to learn new things? Look for social media platforms that you haven’t yet discovered and ask yourself if they can add anything positive to your social media marketing strategy. It doesn’t even really need to be one you’ve never touched. If there are some that you don’t pay that much attention to, devote time to learn more about them. If only there was more time in a day… said everyone ever. We get it, you’re busy. Most likely not in the summer, though! Use this downtime to gain credentials that will not only impress clients, but will position you as an expert and further your social media marketing career. Register for the Facebook Blueprint Certification or get certified in social media through Hootsuite.